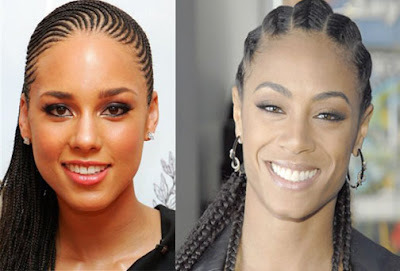 Kurlee Belle: Who wore it best: Alicia Keys vs. Jada Pinkett-Smith? I like both of their looks, but I would have to say that Alicia wore her cornrows best! Thank you for your comment Kay! Im loving Jada...you know that's my girl! Her braids are different clean and fresh!!! :-) BEAUTIFUL.